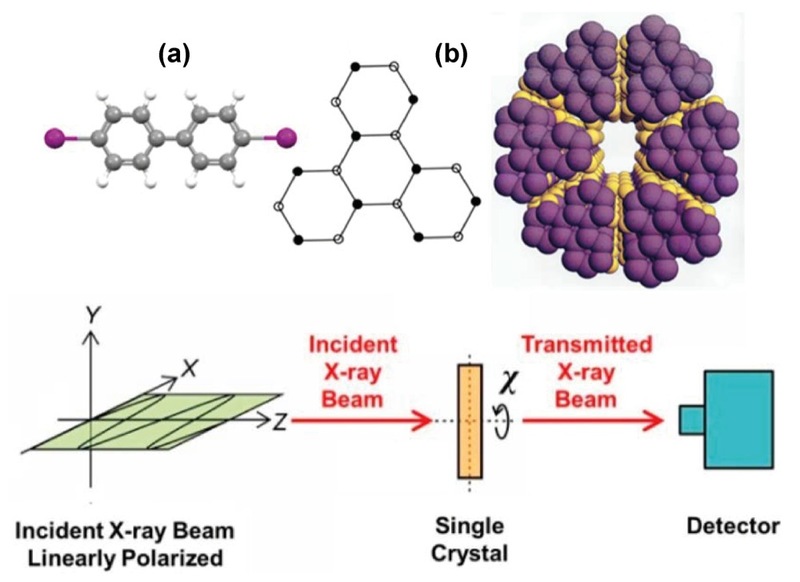 Polarized X-ray absorption was used to determine the molecular orientation for guest molecules in channels of an inclusion compound. This new method may be used in general to determine the bond direction for heavy atoms in disordered systems. This work was carried out in the group of Prof. Jürg Hulliger in collaboration with Prof. Kenneth D. M. Harris from Cardiff University (GB). "Determining Molecular Orientations in Disordered Materials from X-ray Linear Dichroism at the Iodine L1-Edge"
J. Am. Chem. Soc., 2016, 138(50), 16188-16191; doi:10.1021/jacs.6b09054.